Bumblebee Gobies, these are the fish that we are going to talk about. 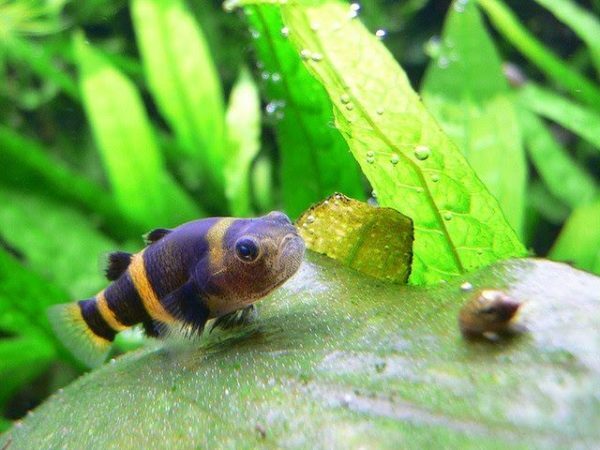 Some of you might be thinking of buying a Bumblebee goby, so this is a perfect place to get informed about these fish before getting some. We will talk about their diet, breeding, requirements and many other subjects concerning these fish. Continue reading to learn all that information. Naturally these fish are found in Indonesia, Vietnam and Thailand. Where they are usually found in rivers and streams, in which the eater is of brackish and has many hiding spots. Bumblebee Gobies are also known as Brachygobius xanthozona, these are small aquarium species of bottom dwelling fish. The size of these fish can be 1 cm when you buy them and the size of an adult Bumblebee gobies can reach up to maximum 4 cm. As you can tell from their name, they are colored like a bee with black and yellow stripes. In order to differentiate female Bumblebee gobies from male you need to compare their color as male ones are brighter. Also, male gobies are more slender than the female gobies. These fish have a great behavior. At first they might be a little shy, but after some time they will show their entire attitude. Male gobies are a bit territorial and they will immediately take their area in a tank. They may show a little aggressiveness regarding their territory, but it is nothing serious. For Bumblebee goby you need to have a tank sized minimum 10 gallons. You should provide them with sandy substrate which will allow these fish to move freely and even dig the substrate sometimes. You should keep the temperature in the tank between 23-26 C degrees. The pH level in the tank should be between 6.5 and 7.5 and the hardness of the water should be between 143-357 ppm. And the KH level should be somewhere between 6-20. As these fish often compete for food it will not bee great to keep them in a community tank. The aquarium should always be filtered but keep the filter on a low level. The tank should have many plants, rocks and many other places for hiding. As these species of fish are a bit shy they always need a place where they can hide and be alone. Feeding Bumblebee goby is the hardest part of keeping them, as it is a bit tricky to feed them. Usually they like to eat whatever that is floating around. So you cannot feed them with food that floats on the surface of the water, like flakes. They like eating live food as well as frozen food. The best option is brine shrimp and blood worms, if you can always have them in the tank that would be great. As they only eat food when it is moving, otherwise they will ignore it. Breeding these fish is again not the easiest task, but still it is possible under right circumstances. They lay eggs in small ceramic tube, in shells or flower pots. 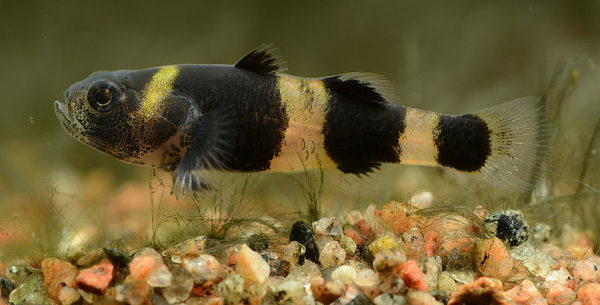 When you notice that the female Bumblebee gobies are more swollen and the males one have a brighter coloration, this means that they are ready to mate. 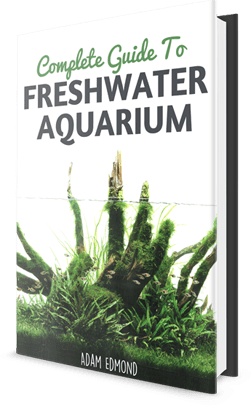 To help the process of mating you can add fresh water into the aquarium. Female lays 100-200 eggs and leaves them so the male can guard the eggs. You can move the eggs to another tank in order to let the fry to survive. The incubation period lasts from 7 to 9 days. These fish usually do not do well in community, so it might be better to keep them in a single species aquarium. And these fish like to be in groups it is better to keep them in a group of 6-7. But overall they are not an aggressive type of fish and you can keep them with other species, preferably with non bottom dwelling species. Just be sure not to keep them with such species that can eat them, as they are too small. You need to be careful when buying these fish in a fish store as usually it is hard to distinguish between Brachygobius fish, as they all look similar. So if you cannot distinguish between them it is better to buy them from a person who will not lie to you and will give you the right species. Why is it recommended to buy these fish? One of the advantages of these fish is that they are very peaceful. Unlike many other fish species that might not get along with each other, bumblebee gobies are peaceful compared to other species. Also, Bumblebee gobies are a beautiful addition to the aquarium, as they have a beautiful coloring. Especially with their black and gold stripes, that goes along from head to tail. Even though these are a peaceful fish species, they can also be very fun to watch. As they are a very active type of fish. Unlike many other types of fish they are full of personality. And the last reason that we recommend to get Bumblebee gobies is their compatibility with other invertebrates. So, as we can understand from all the above mentioned information Bumblebee gobies are not that easy to look after, but overall they do not require extreme effort as well. Just make sure to create a needed environment for them and everything will work out fine. They will add a colorful look to you tank. So now you are well informed about these species and can easily go and get some Bumblebee gobies for you aquarium. Is the bumblebee goby and the bumblebee catfish the same fish?